Bromley is a great area, with a big population that clearly likes to celebrate. 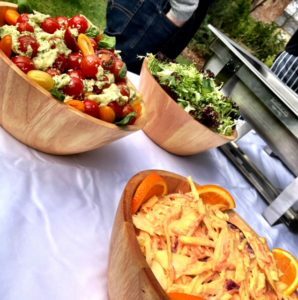 We know this because, over the years, we at Hog Roast Bromley have provided the food for literally hundreds of parties. 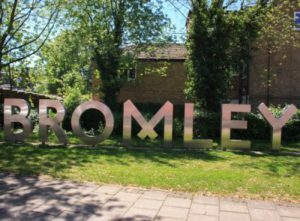 Over that time, we have got to know the people of Bromley well, so understand what style of food and flavours they enjoy the most. As you can see, our menus are extensive. We love to cook, so are always innovating and adding new dishes. Naturally, hog roasts are still popular. The succulent meat smells wonderful and tastes divine whether it is served with potatoes and vegetables or in a soft roll with applesauce. However, should you want us to the Hog Roast Bromley team can just as easily provide you with other kinds of spit-roasted meat. We use the best spit roasters, so whether you like turkey, gammon, chicken, beef, suckling pig or lamb we can cook it for you. We also provide salads, desserts, stuffings, gravies, side dishes, canapés and much more. This means it does not matter what kind of event or party you are planning to host we can do the catering for you. A lot of people in Bromley hire our chefs, waiters and front of house staff to do their wedding catering for them. We also provide food for corporate events. However, are just as comfortable cooking for a small group of people at a family party, staff day or association event. Our aim is to provide you with whatever you need to send everyone home full of good food.